Lately I’ve noticed an unexpected trend in both movies and television: Regardless of the budget, and no matter how prestigious the project, the green-screen driving scenes are looking more and more phony. I’m not talking about actual driving footage, shot on real streets with moving cars. Those are still fine, by and large. But whatever digital process that moviemakers and TV producers are using these days to make people on soundstages look like they’re in real motor vehicles? It isn’t working so well. 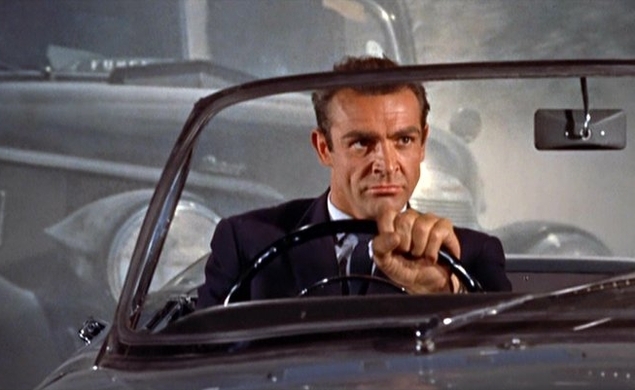 The fake driving scenes nearly always come across as fake—and not the kind of fake that’s charmingly retro, like the rear-projection in old Hollywood movies. No, this is bad fake, like somebody went to a lot of trouble to shoot moving backgrounds to layer into the scene, but then couldn’t do anything about the faint halo around the actors that makes it look like they’re the one who’ve been pasted in. It’s not just driving scenes that have become problematic. Horror movie fans have spent the last decade bemoaning the advent of digital gore, which may be cheaper and easier than make-up effects but have none of the (literal) visceral impact. And whenever I see one of the Marvel movies on FX—where they pop up constantly—I’m taken aback by how out-of-place some of the all-digital characters like the Hulk look, side-by-side with real humans in real locations. Does the small screen (or the lack of 3-D) make them look worse, or has their novelty already worn off? Still, the issue with CGI since the 1990s is that some filmmakers use the tools indiscriminately, as a solution to problems that aren’t really problems. They “sweeten” the sky in the background, for example, or smooth out an actor’s wrinkles; and soon one tweak necessitates another, until the key elements of a scene look out-of-balance. Has anyone else noticed how often the products in TV commercials these days look like cartoon versions of themselves, in the hands of live-action actors? This is what I’m complaining about: The enhancement of one component of a moving image until it becomes a distraction. The driving scenes in modern movies and TV shows are symptomatic because they represent an unsatisfactory, unnecessary way to resolve a non-issue. Want characters to drive somewhere onscreen? Put them in an actual car on an actual street, and film it. I know that’s a logistical and technical hassle, but it’s one that even low-budget filmmakers have dealt with for decades, even if they have to do it guerrilla-style, with no permits or permissions. It that’s too difficult, figure out a workaround. Can the scene be cut? Can it take place somewhere other than a car? Can it take place at night, which is much easier to simulate on a soundstage? And here’s another way to get around not shooting a real car on a real road: Embrace the fake. Think back to Pulp Fiction, with its obvious rear-projection in the Butch and Esmerelda cab scene. Pulp Fiction has a tone and style that allows Quentin Tarantino to throw a spotlight on the artificiality of moviemaking, and Pulp Fiction has a lot of practical driving scenes too, which makes the rear-projection more of a clear creative choice. But it just goes to show how moviegoers are willing to buy a phony effect when it’s used boldly. Phony isn’t always an option, I realize. In the Lord Of The Rings movies, Gollum needs to look convincing (and he does). And I honestly don’t know how to deal with a character like the Hulk, aside from only telling Hulk stories that see him traveling to other planets to be hounded by aliens. What I object to is the defaulting to digital, when sometimes a creative approach would produce something more striking and less silly. Besides, oftentimes suggestion and abstraction work better than trying to make an effect look as “real” as possible. Use smoke and mirrors. Show teasing glimpses of the shark. And when it comes to car scenes, don’t be afraid to travel by map.